My friend John Ferguson, who I wrote regarding our pipe hunt and his learning to clean up estates, sent me an email a few days ago. 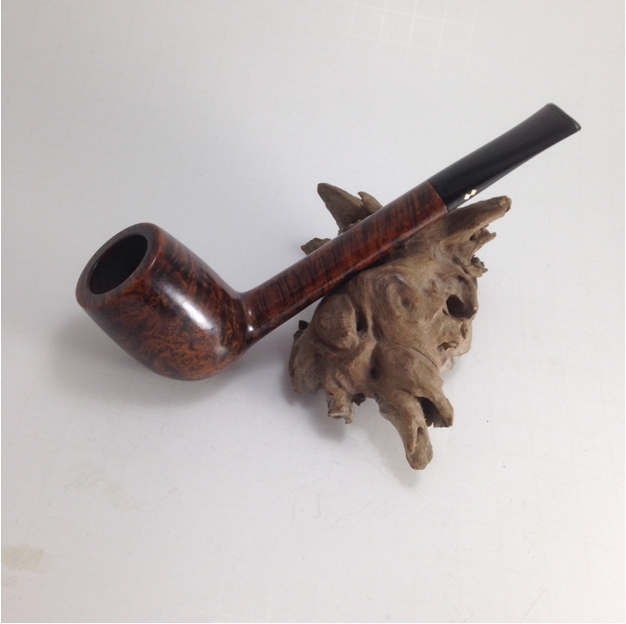 In it he included some photos of a pipe that he picked up and was working on currently. 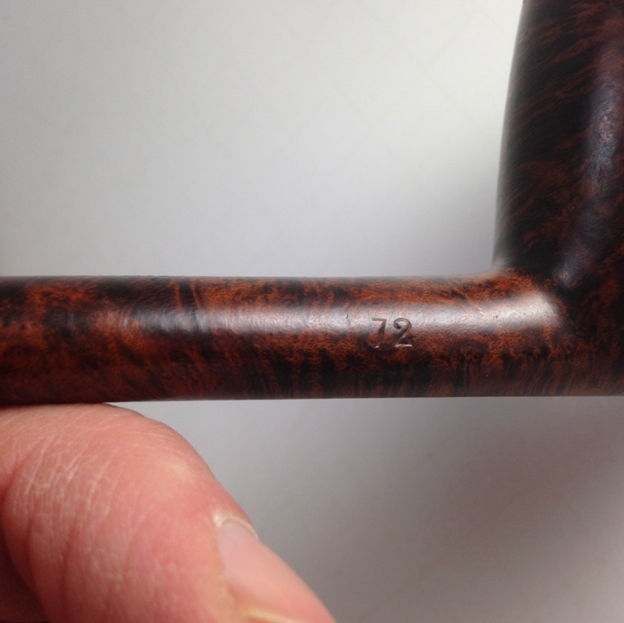 He asked about the brand of the pipe so I did a bit of research on the pipe and found out that it was a Preben Holm pipe – the IIS stamping identifies it as such. Later he sent me a piece that he wrote about the find and his restoration work. Here are his words on this first restoration. 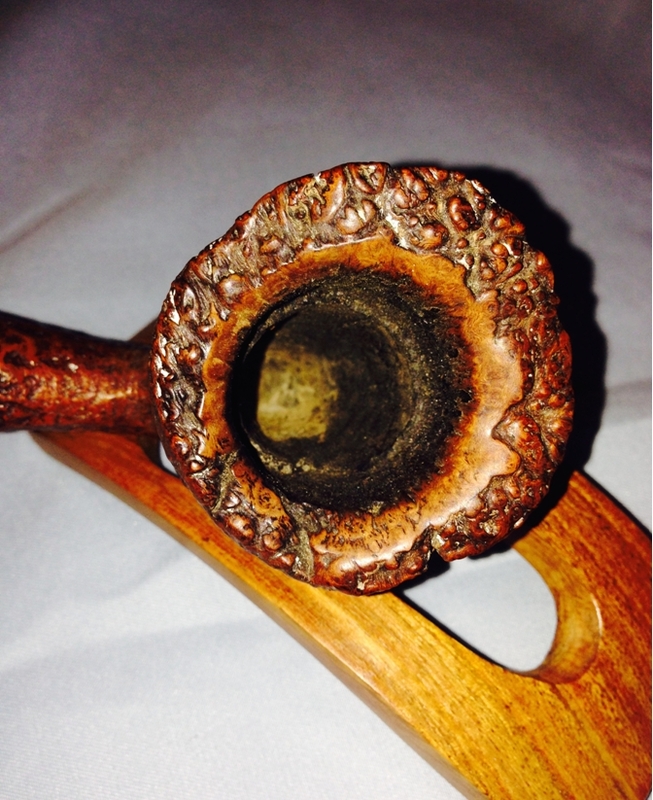 It is great to have you posting regarding this pipe on rebornpipes John. Keep up the good work. 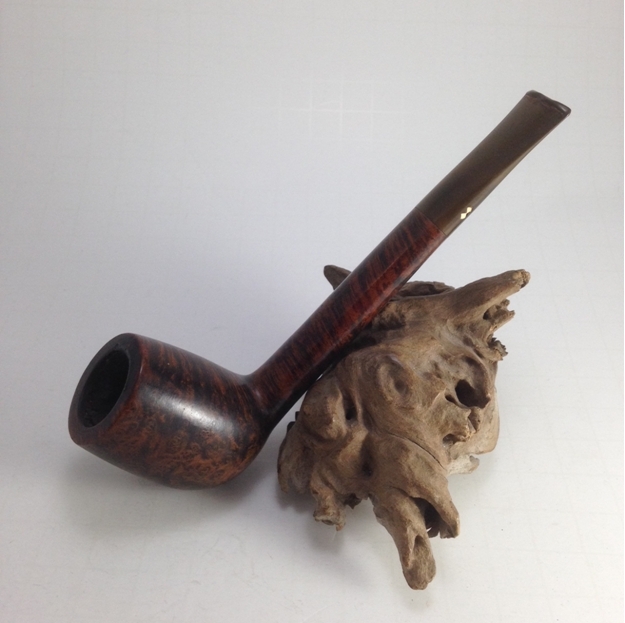 Ever since my friend, Steve, showed me how to restore my first estate pipe that I found in a batch of pipes at an antique store in Bellingham, WA, I’ve been itching to do some more hunting for pipes that would intrigue me. I had the opportunity to do so on a recent trip to Texas to visit my family. One beautiful afternoon towards the end of November, my mother and I headed out to some antique stores to spend some time together. 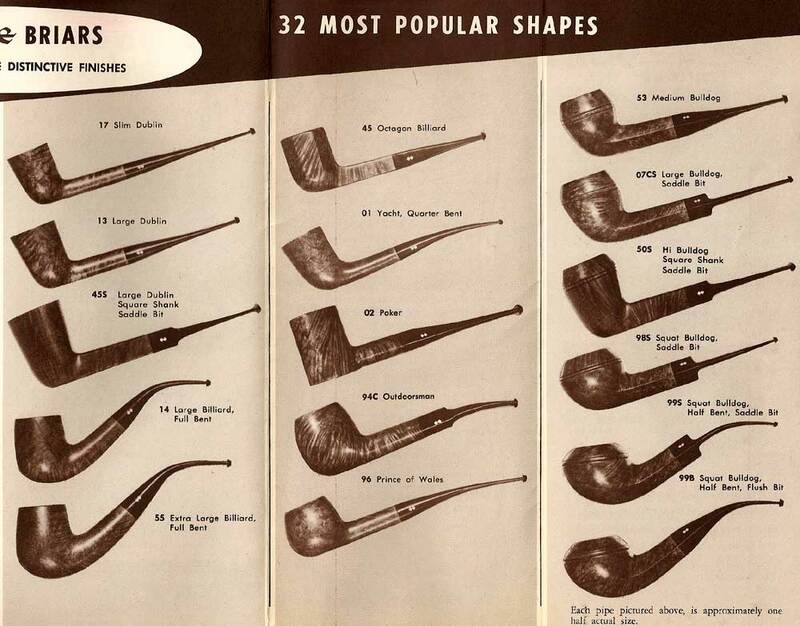 And of course, hunt for some pipes. 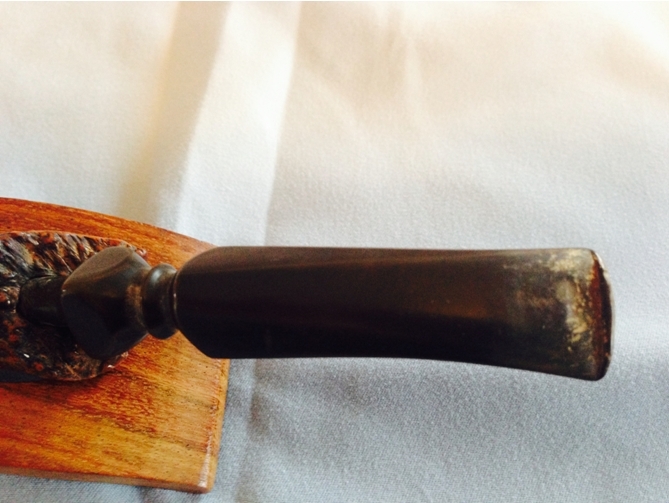 I found this pipe that intrigued me. 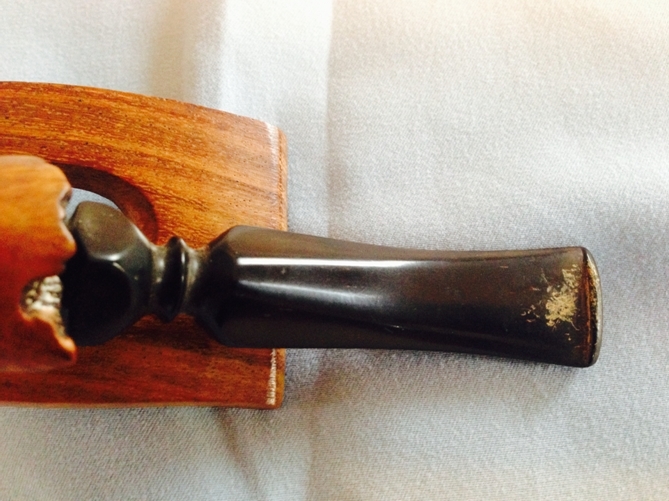 It was stamped with the words, “Handmade in Denmark” with a “IIS” below it. I did a quick search on my smart phone, but couldn’t find any info quickly. 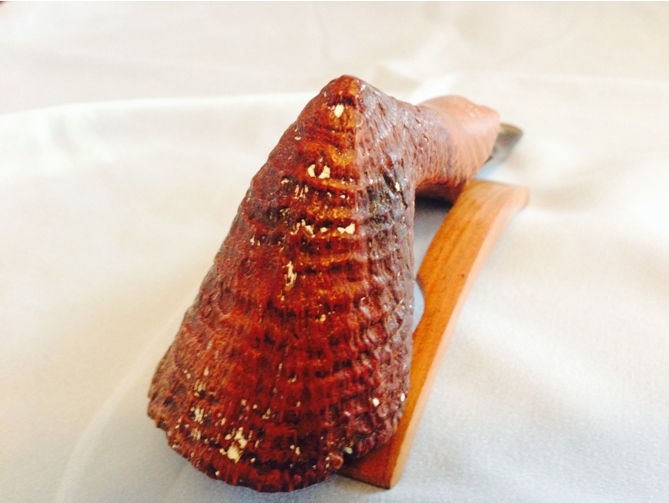 With some help from Steve, we discovered that this was a Preben Holm Pipe. It was only $10, and since my 19 year old son loves all things Scandinavian, and since it looked like something out of Lord of the Rings (another favourite of his), I decided to get it and restore it, and to give it to him as a Christmas gift this year. It definitely needed some help. 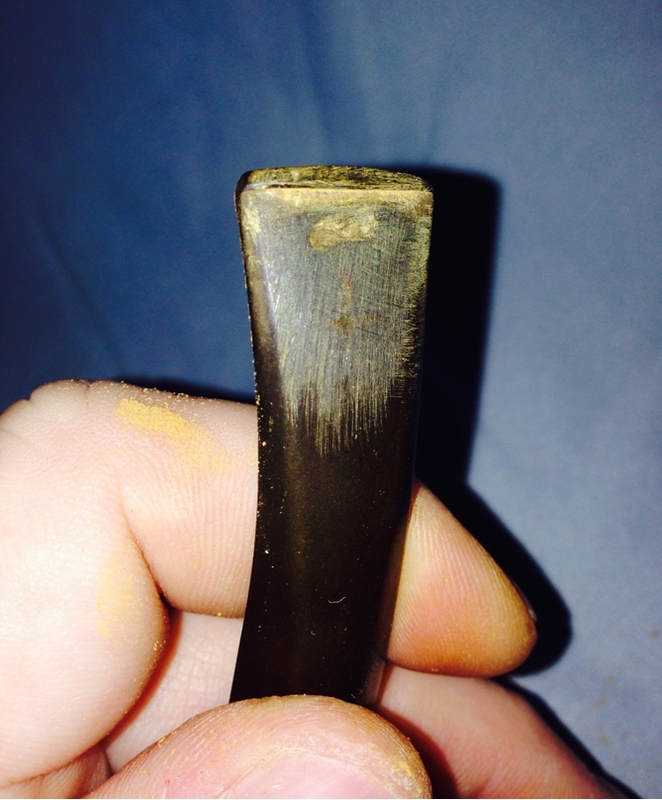 The stem had tooth marks plus calcification. 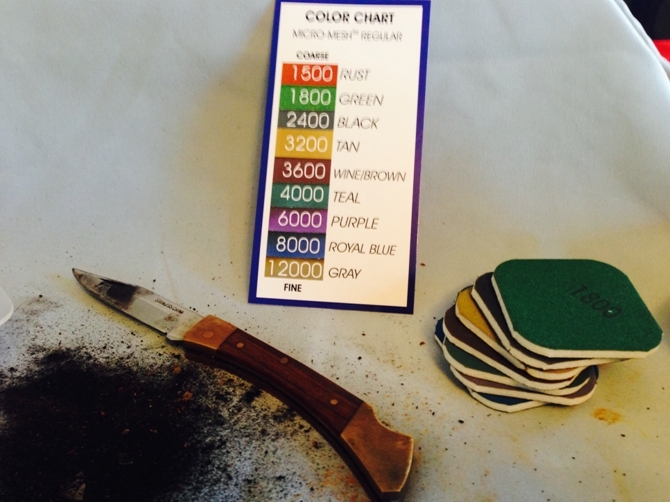 And the bowl had what looked like paint chips embedded in the texture. There was a lot of cake built up on the inside of the bowl, so I took my grandfather’s pocket knife and began to ream it. Gently. I was careful not to damage the bowl. 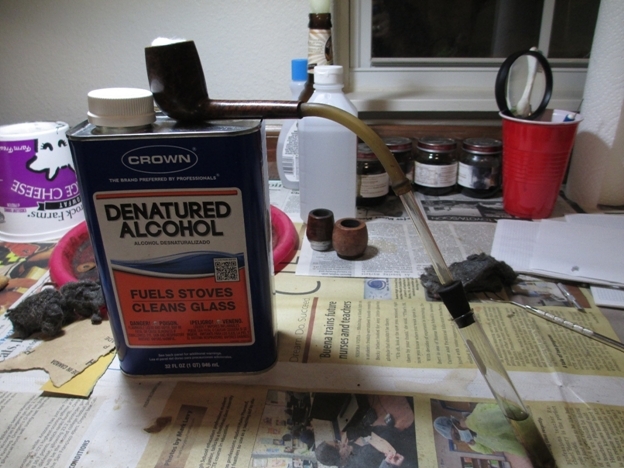 I followed that up with pipe cleaners and alcohol to clean the shank. 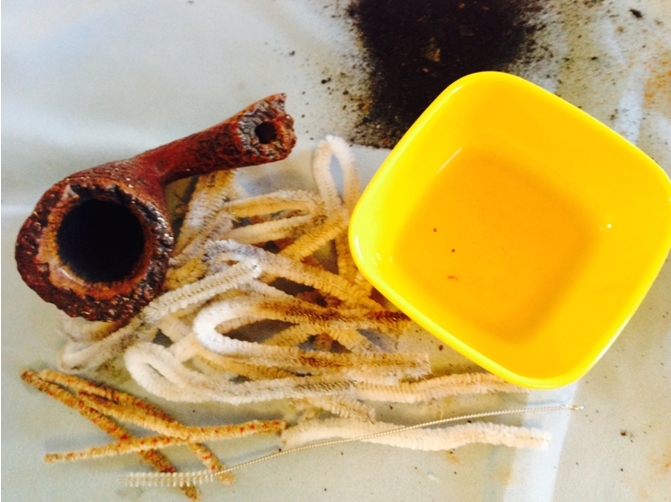 I used regular pipe cleaners, bristled pipe cleaners, and a pipe cleaning brush and worked until no more gunk came out and the pipe cleaners came out clean. 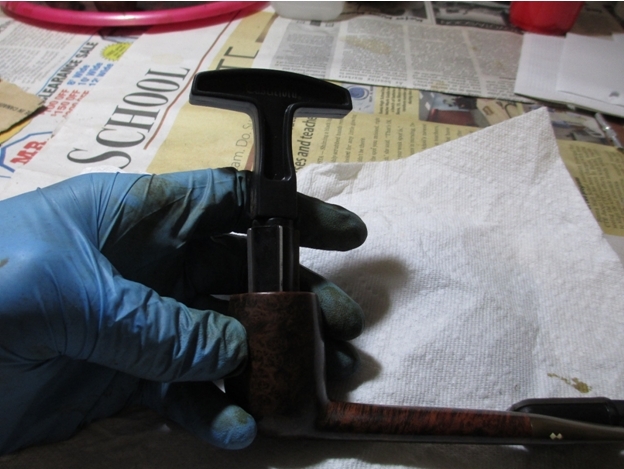 The next step was to clean the pipe with Murphy’s Oil Soap and an old toothbrush. I took several rounds of scrubbing to get most of the ‘paint flecks’ off of it, and what the brush didn’t get the tip of my pocket knife did. I think it turned out beautifully. Next came the cotton ball soak with alcohol on the inside of the bowl. 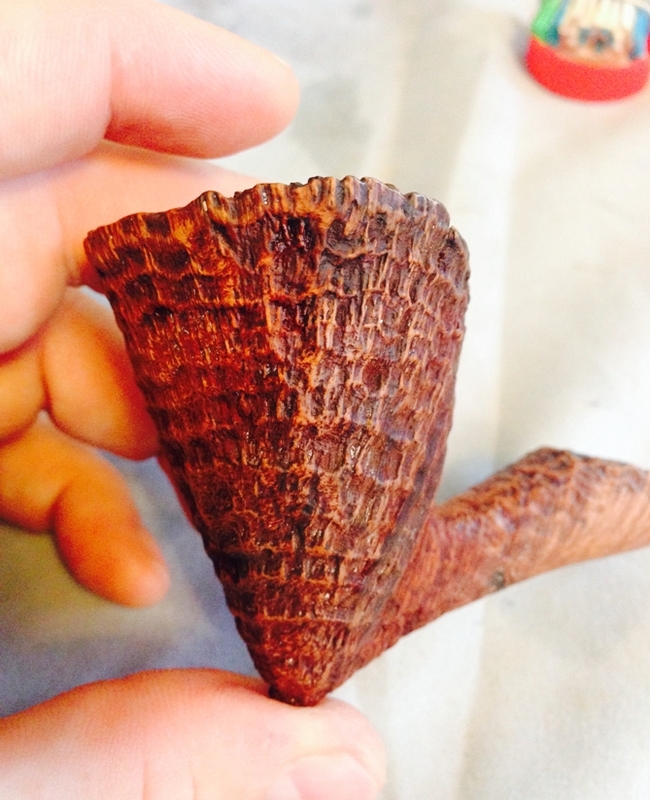 Then I turned to work on the stem. 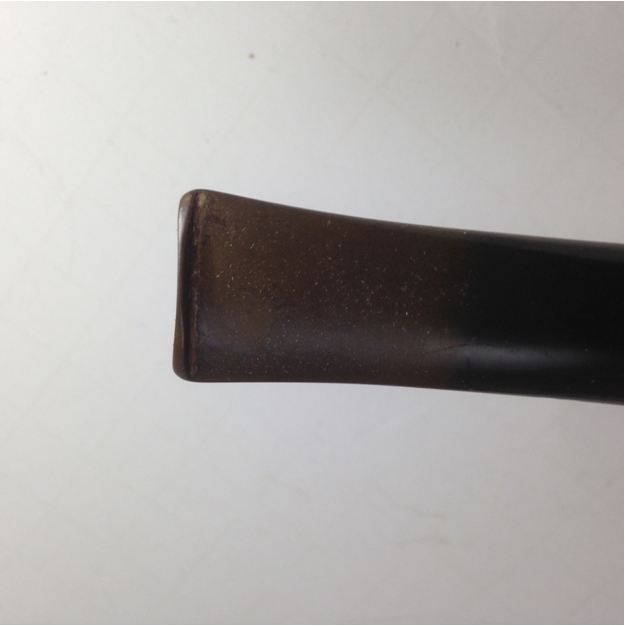 I began working on smoothing out the bite mark and removing the calcification by using 240 grit paper, followed by 180 grit. 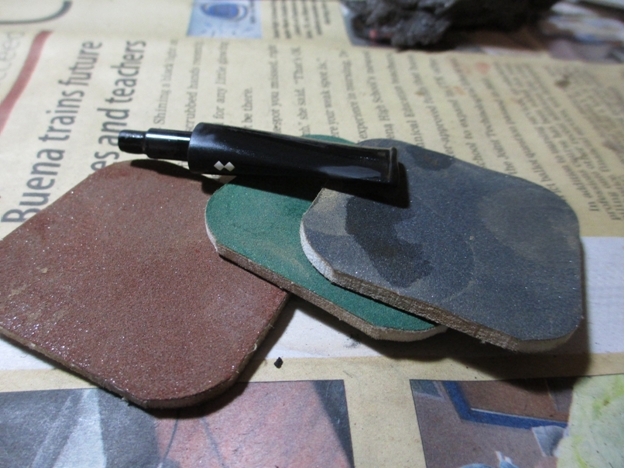 Then I began using micromesh pads working from the 1500 pad to the fine 12000 pad. After about an hour of work, I had a brand new looking stem. This entry was posted in Pipe Refurbishing Essays and tagged article by John Ferguson, Bowl - finishing, Bowl - refinishing, cotton ball and alcohol soak, finishing, John Ferguson article, micromesh sanding pads, Oxidation, pipe refurbishing, Preben Holm IIS, refinishing, refurbishing, removing oxidation, stem work, sweetening a pipe bowl with cotton ball and alcohol on December 23, 2014 by rebornpipes. 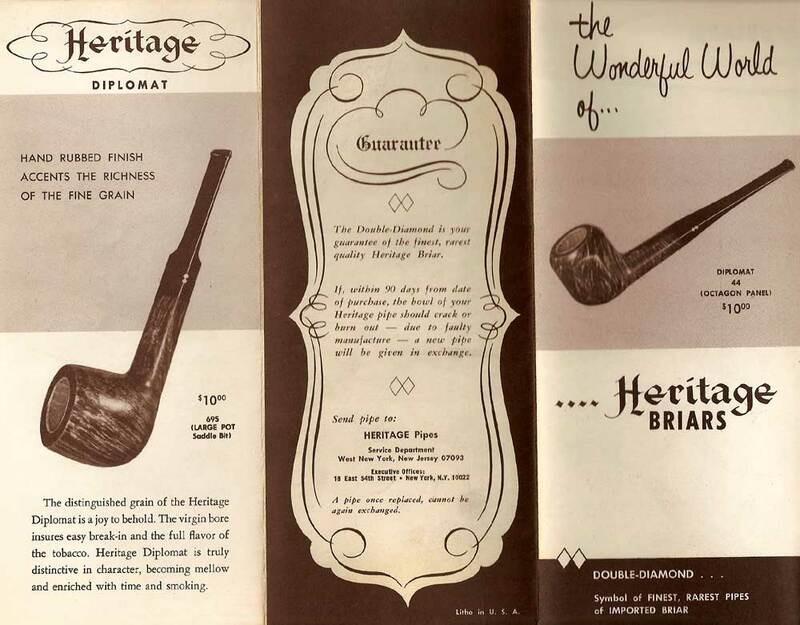 This entry was posted in Pipe and Tobacco Historical Documents and tagged Andrew Selking, Heritage Antiques, Heritage Briar Brochure, Heritage Briar Pipes Information, Heritage Briars, Heritage Diplomats, Heritage Embassy, Heritage Heirlooms on December 23, 2014 by rebornpipes. 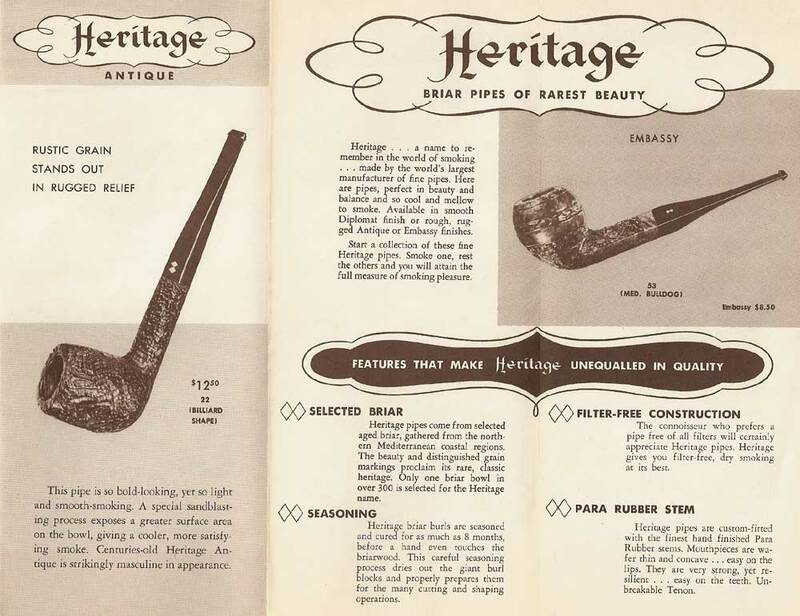 The Heritage line began in the early 1960’s, with the trademark issued in 1964. 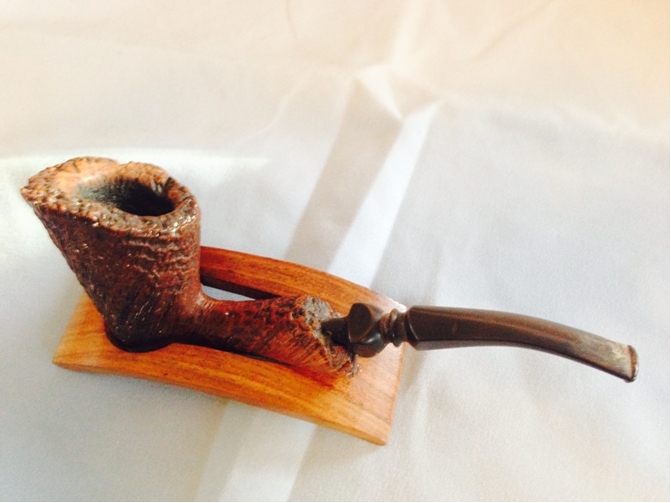 The line was started at the request of Stephen Ogdon, (who worked for Kaywoodie in 1962). 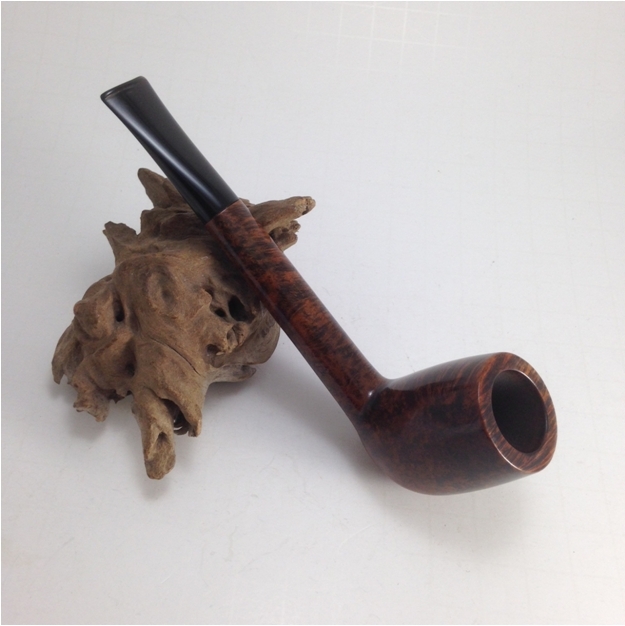 Mr. Ogdon had previous experience working for Dunhill, either running the New York store or working for Dunhill North America. Mr. Ogden was made President of Heritage Pi pes, Inc., Kaywoodie Tobacco Co.,Inc. 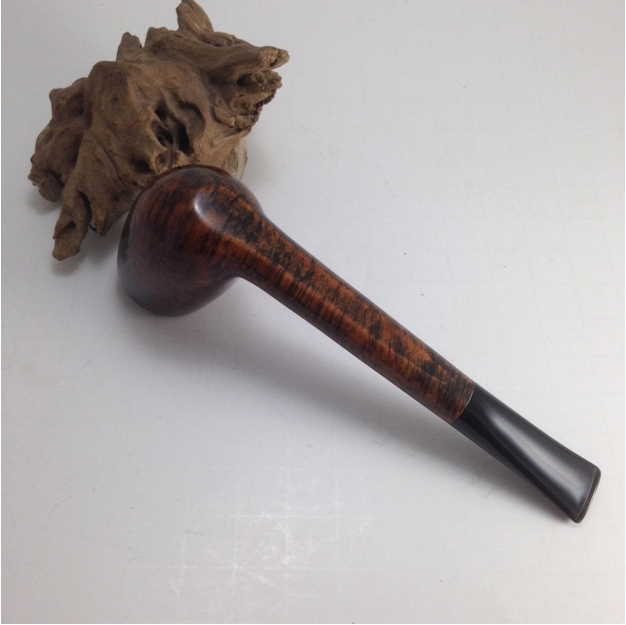 and Kaywoodie Products Inc. as well as a Vice President of S.M. 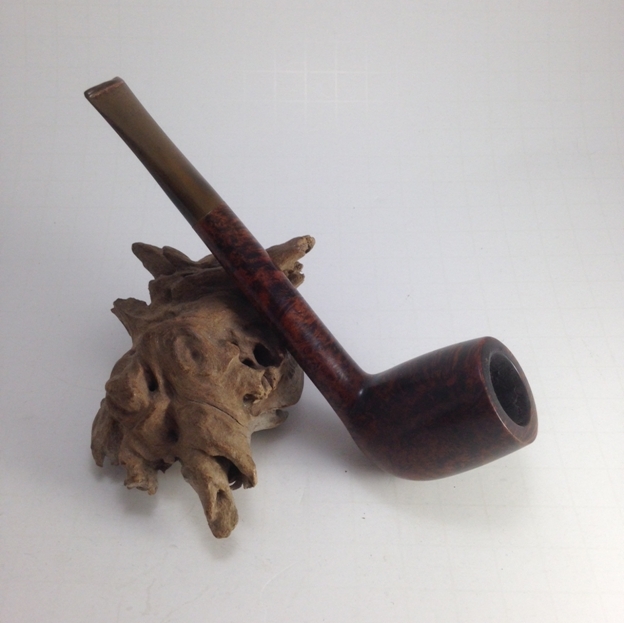 Frank & Co. Heritage Pipes were produced from 1964 until 1970 (Source Kaywoodie.myfreeforum.org). Here is a copy of the Heritage brochure. 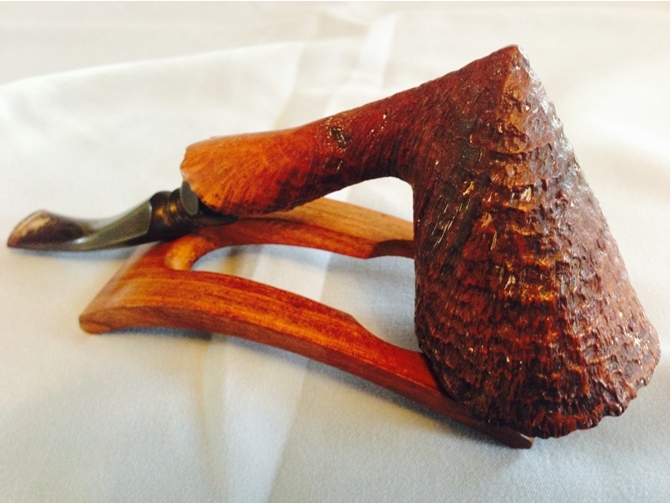 (Courtesy Kaywoodiemyfreeforum) The pipe I found was the number 72 Medium Canadian, oval shank. 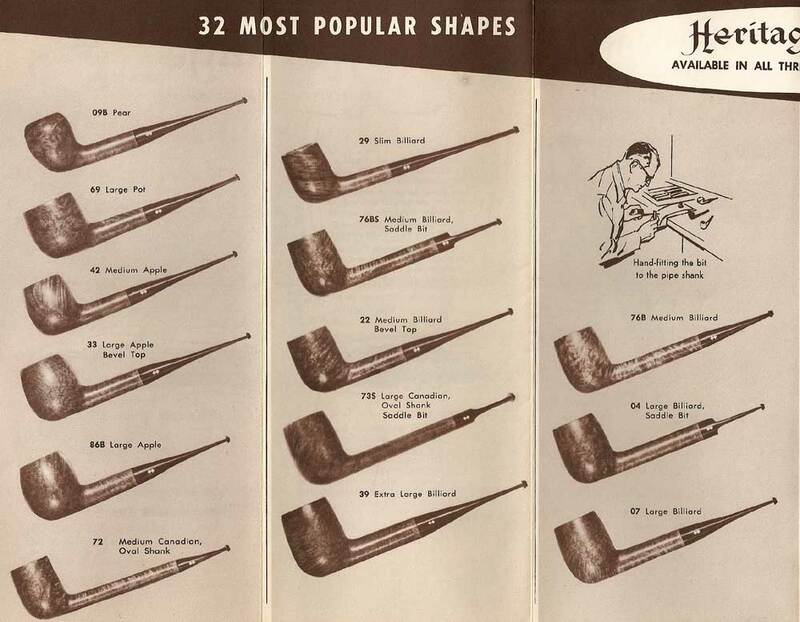 Interestingly, the one thing the Heritage line shared with Kaywoodie was the size and shape numbers. 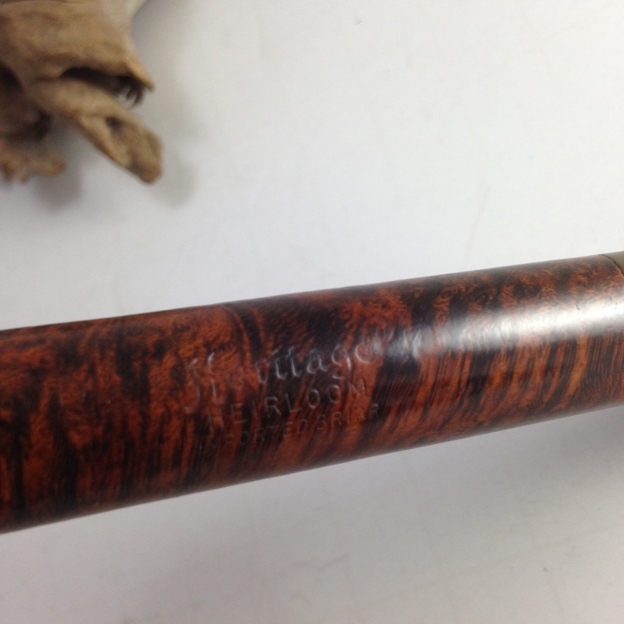 Unlike Kaywoodies, the Heritage pipes are normal push tenons. 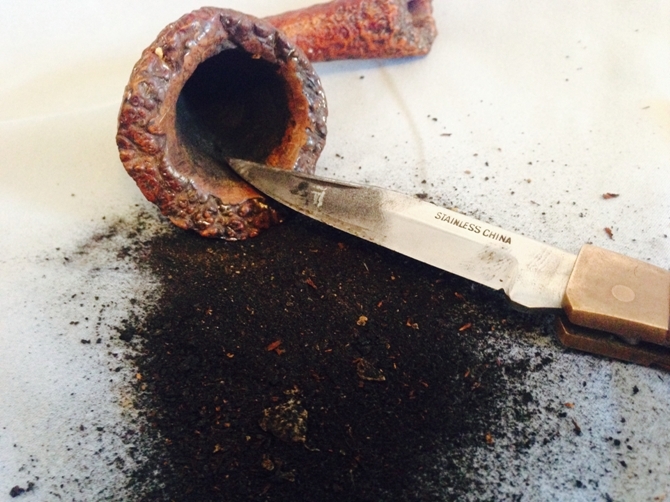 When the pipe arrived, it had some tar build up on the rim and a thick layer of cake. 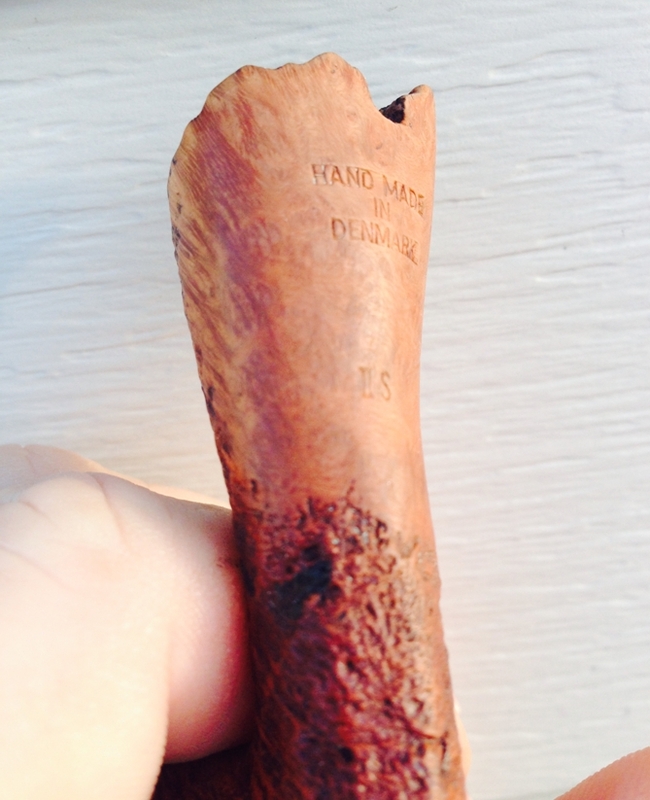 The stem had some oxidation, but minimal chatter. 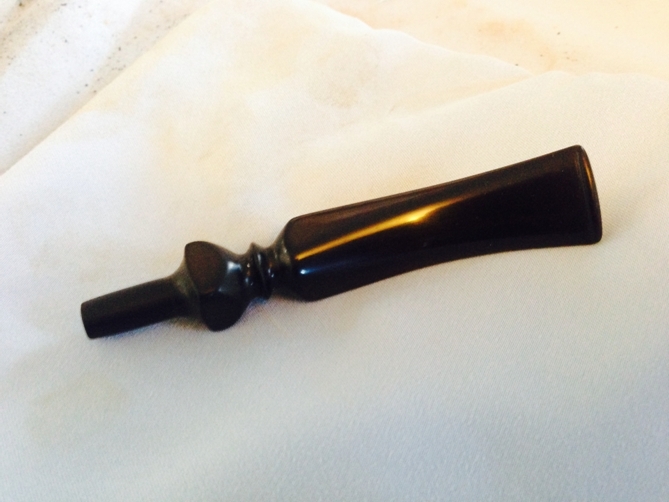 The finish was in nice condition, so I decided to forgo the alcohol bath and attempt to keep the original finish. The first thing I did was ream the bowl. 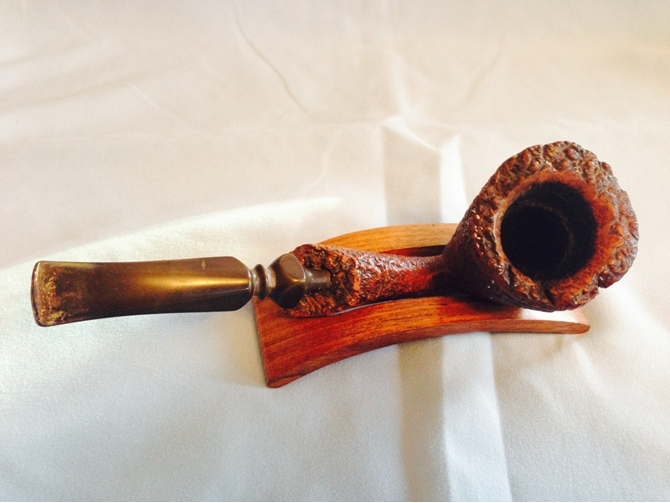 I used my Castleford reamer and was delighted to find that the cake was very loose, mostly old tobacco, and it easily cleaned back to the wood. Next I decided to find out how the bad the rim was under the tar build up. 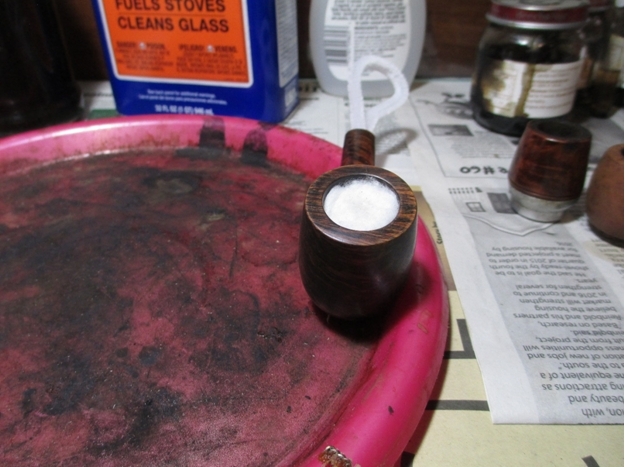 After a light buffing with 0000 steel wool, the tar was gone and I could see a pristine rim. 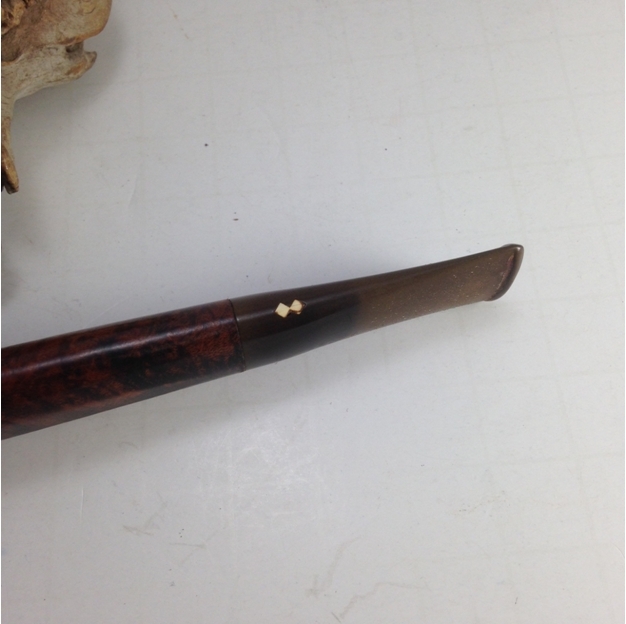 Since I was on a roll, I decided to re-tort the shank. 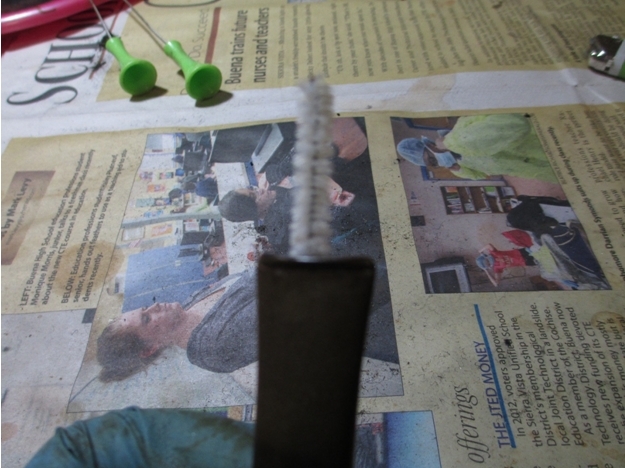 I normally show pictures of a brush loaded with gunk, but in this case the brush came clean on the first pass. 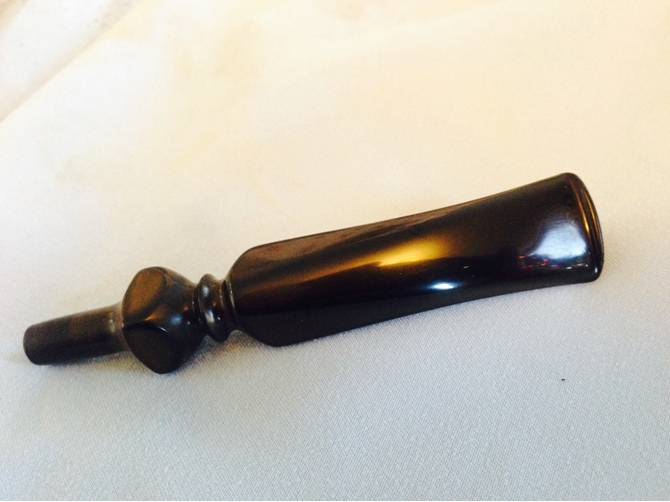 I proceeded to use some q-tips and fuzzy sticks on the shank. 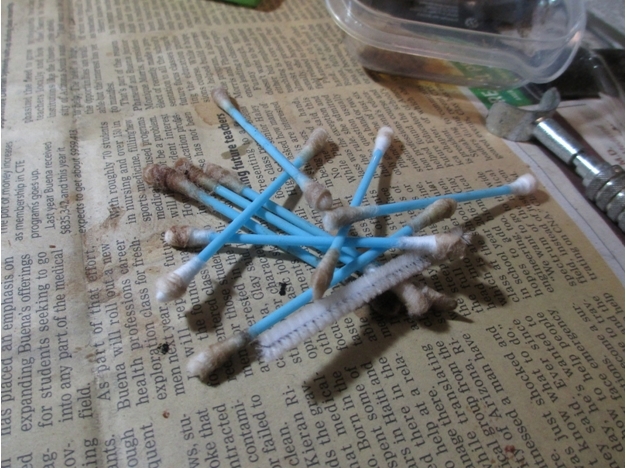 Most of the tar came off with the first couple of q-tips, after that it was just a matter of a few more and the shank was clean. Since I didn’t soak the bowl in alcohol, I decided to soak it with some alcohol soaked cotton balls. 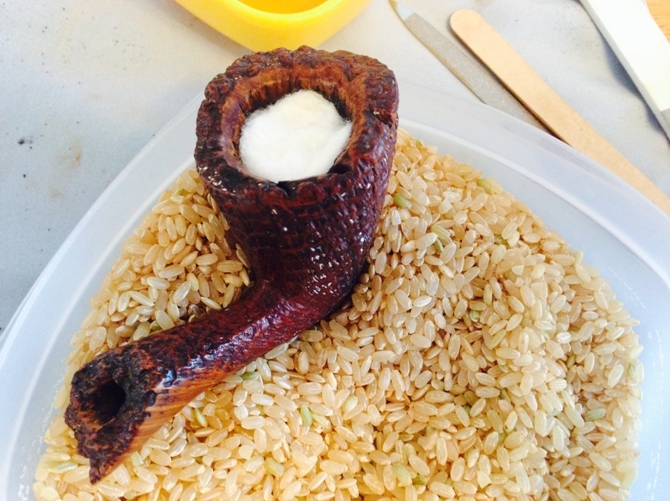 While the bowl soaked, I retorted the stem. 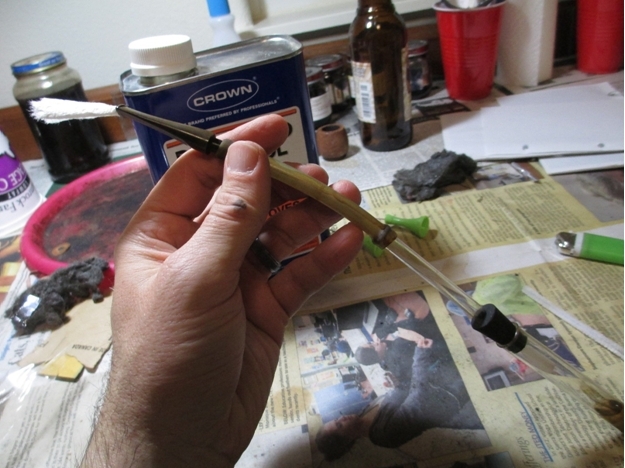 It was just as clean as the shank (this was the first fuzzy stick I passed through after the retort). 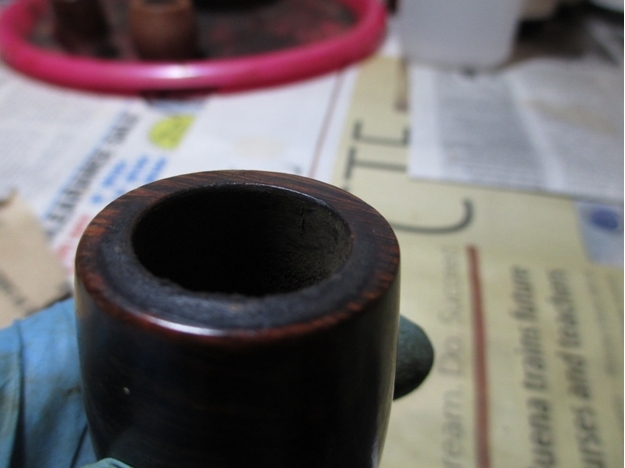 This was the cleanest “dirty” pipe I’ve ever had. 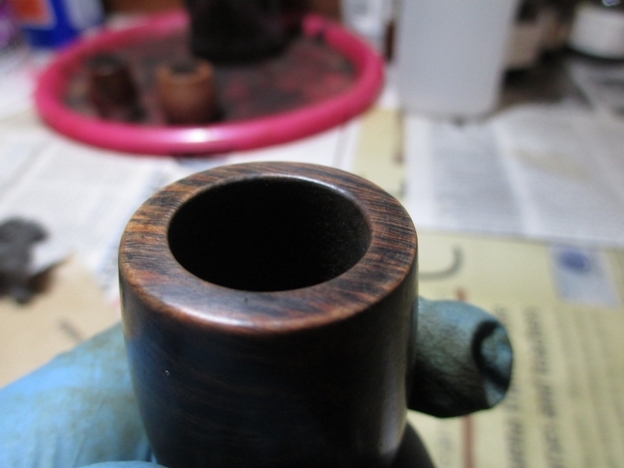 Since the stem was so clean inside, I skipped the Oxyclean bath and tackled the oxidation. 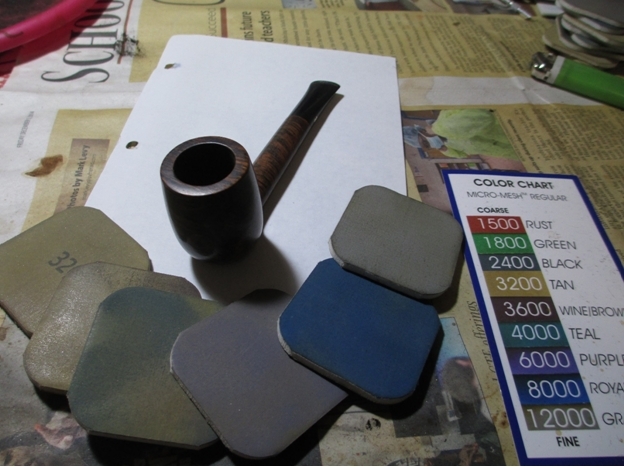 I used my normal progression of 400 grit wet/dry sandpaper with water, followed by 1500-2400 grit micro mesh pads with water. 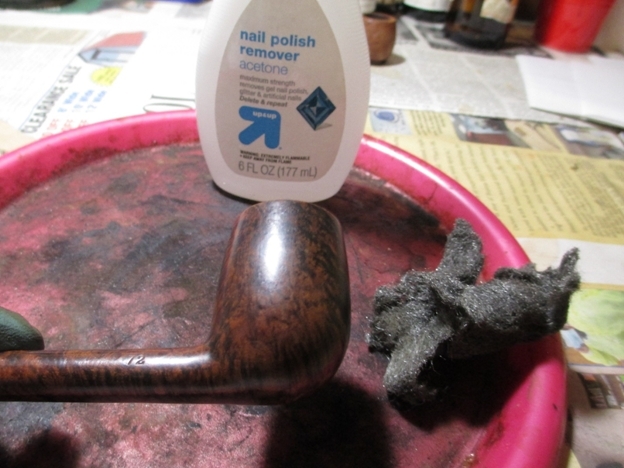 The finish seemed really dark, probably the result of oil from the previous owner’s hands, so I used some 0000 steel wool and acetone to clean the outside of the bowl and shank. 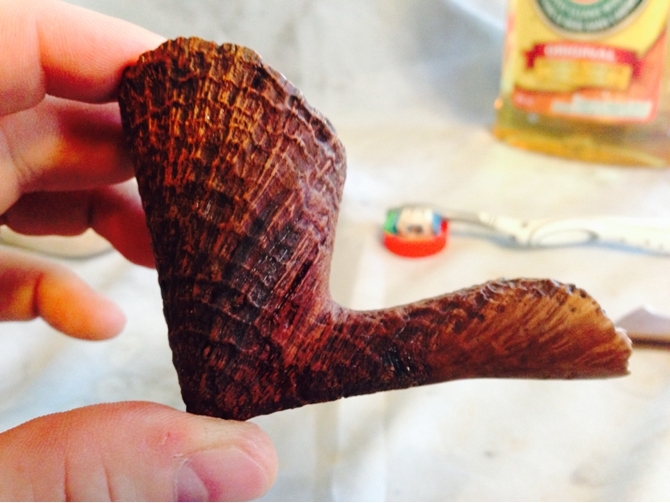 The steel wool worked well on the bowl, so I skipped the 1500-2400 grit micro mesh and started at 3200. 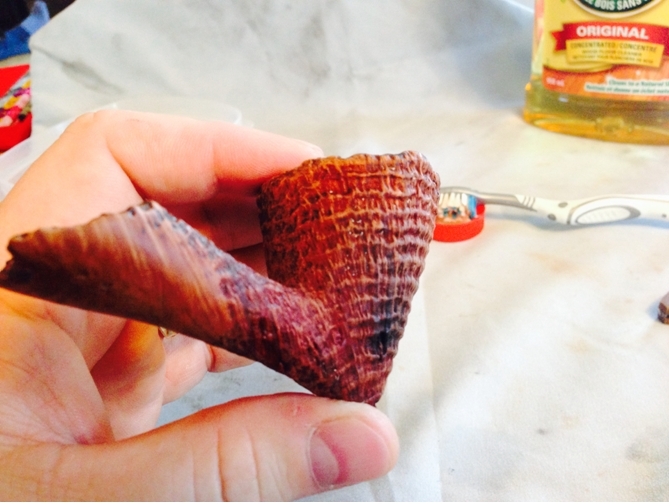 I used a progression of 3200-12,000 grit micro mesh for the bowl and stem in preparation for the buffing wheel. 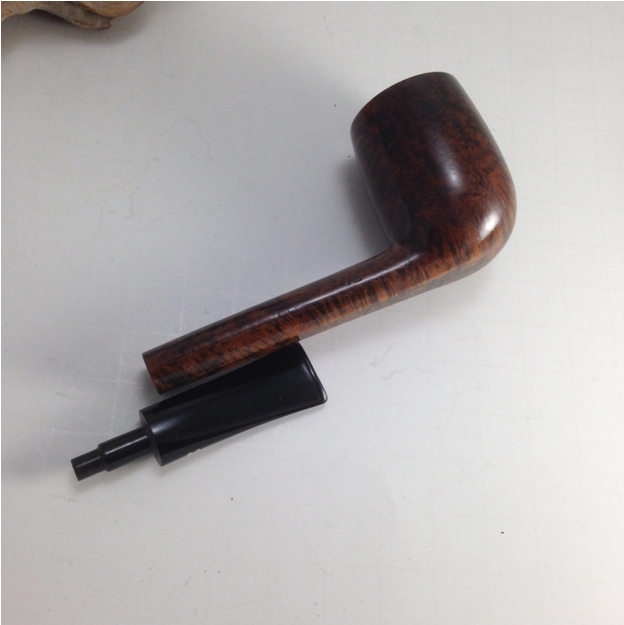 After an uneventful spin on the buffer, here is the finished pipe. This line of pipes might be one of the best kept secrets out there. 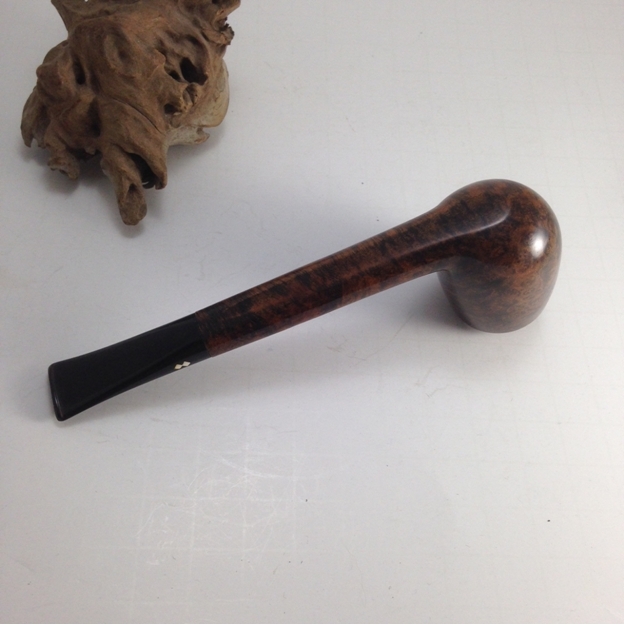 I find that the quality of the stem compares to Dunhills and the wood is spectacular. 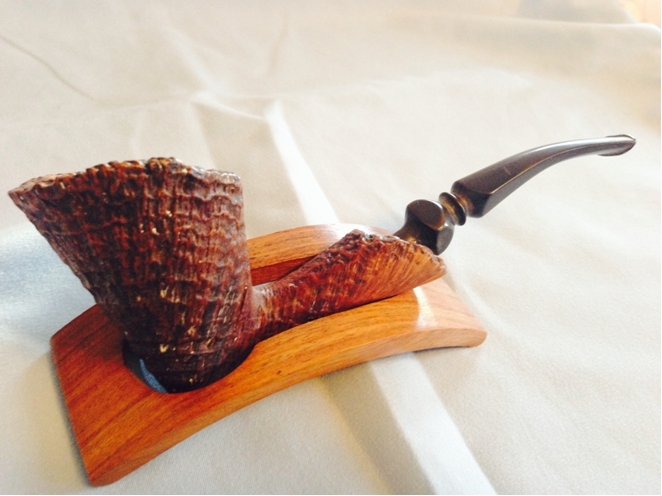 I highly recommend these pipes. 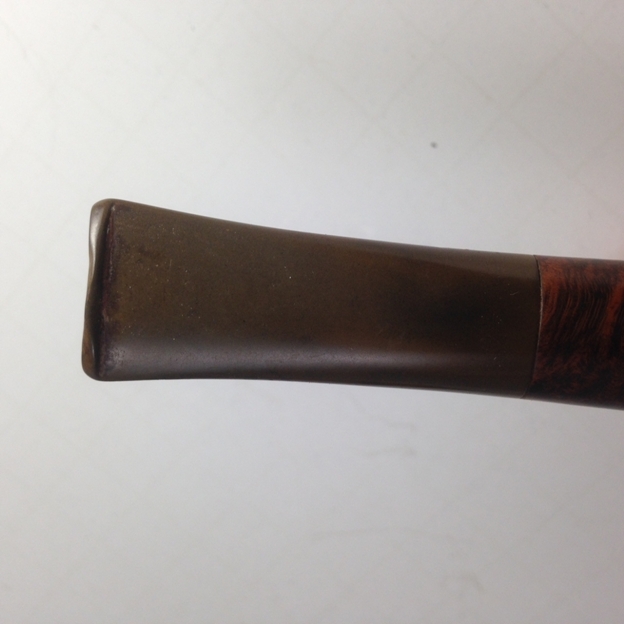 This entry was posted in Pipe Refurbishing Essays and tagged Andrew Selking articles, Articles by Andrew Selking, Heritage Briars, Heritage Heirloom 72 Canadian, Heritage Heirloom Pipes, Heritage line, kaywoodie, micromesh sanding pads, Oxidation, pipe refurbishing, pipe retort, refurbishing, stem work, The Heritage Line, using a pipe retort, waxing a stem on December 23, 2014 by rebornpipes.